If the data were never used or stored, as Google claims, why were they collected in the first place? Was it just an oversight due to sloppy software engineering or inadvertant leftover test code, as has happened with Apple and Microsoft and others? Or did Google consider using or storing the data but didn’t get around to it before it got discovered? Or are they lying? Because it’s Google I prefer Door Number Three. But for the customer, there’s a goat behind all three doors. The same excuses were given when Google was caught using google Street View cars for collecting data about private WiFi networks. Google claimed that it was an innocent oversight and there was no sinister motive, but here we are again with another similar “innocent oversight”. Some might accept Google’s excuses, while others notice see something of a pattern developing. Now that Google is selling devices capable of relaying real time audio and video to their servers, I wonder what the next “innocent oversight” which comes to light might be? It’s hard to believe that anyone would even think of using samsung or google for a personal device….when they monitor you 24/7….There’s no accounting for taste…. Sounds great to give to Altzheimer patients since sometimes you ‘lose’ them and have to spend considerable time looking for them about town. We have a neighbour who’s husband has Alzheimer’s and is prone to wandering off for walks of several miles, occasionally turning up lost and confused some distance from home. We gave her an old iPhone which she charges every night and leaves in his jacket pocket within a waterproof plastic bag. He doesn’t understand how to use the iPhone, but she is greatly comforted by knowing that she and her children can easily discover where he is by using Find my Friends. The lock screen on that phone shows a contact number for her so that if anybody discovers him and is concerned, she can come and collect him. She has also completed the medical ID data for him so that in the event of an emergency, all the relevant information about his medical background, medications and next of kin are readily available to first responders. DickDuckGo has reached a quality level such that it should be everyone’s default search engine. No surveillance. I keep a bookmark to Google as a secondary resource. As of late September 2017 it seems Bing was replaced for Siri with Google. According to the same article Google has been the default for Safari across all platforms in recent years. Thank you. It appears that it was me whose information was out of date… So they drew up a new deal. Perhaps Apple’s greed manifested afresh, or perhaps Google’s receded… actually, branding any corporation as greedy seems silly. Aren’t they all? And don’t they all pretend not to be? Very true, but some fall for it and need to be reminded. A few years ago Apple got called out for tracking cell towers and therefore location. Also bad. Not excusing Android either. You should learn about the details of the Apple issue. It was wi-fi hotspots and cell towers in order to improve location services when the user wanted to use something tied to location services. It never located the user’s iPhone. That some of the location info was then cached on the device was a software bug which Apple promptly fixed. There was no real issue with user privacy or user location, it was all clickbait press hype. That you would equate this with Google’s tracking shows your lack of knowledge, or that you just don’t care to learn the truth, you just want to trash Apple whenever you can. Have a good day. Yes, after the hubbub Apple fixed it. I did not defend Google, quite the contrary. Apple fixed it after two security researchers found that it was possible to reverse engineer an approximate location, not “after the hubbub”. The hubbub was still clickbait hype, the user’s actual location was not tracked or logged. Learn the details before you speak please. What did I say that was wrong? Was there not a hubub? You are implying (in order to slag Apple) that Apple was tracking users just like Google (a sad attempt to equate the two behaviours), and also implying that Apple only stopped tracking because of the “hubbub”. None of that is true. A couple of security researchers found that it was possible to reverse engineer an approximate location (which could be off by miles by the way) due to a software bug and the way location services worked in iOS at the time. Apple would have fixed it whether there was clickbait in the press “Apple tracks users!” (which apparently you fell for hook line and sinker) or not. Actually my info was from Macworld at the time and Apple justified it as necessary to support the experience. It is necessary if users want location services to work. Using only GPS takes far too long. The issue was a software bug that made it possible to reconstruct an approximate location, and that the info should have been encrypted. I would respectfully suggest you use more than single biased sources for your information. The point I’m trying to make here is that this incident with Apple is nothing like what Google is doing when it comes to tracking users. It isn’t even close, and you were attempting to conflate the two, which makes sense given your moniker, you aren’t exactly trying to hide that you’re not interested in an intellectual debate based on facts. And just as respectfully, I only brought up facts. You made the connection. Macworld is a very bias pro-Apple publication. There you are correct. But now that you mention it, the reference above talks about Google tracking cell towers… The hubub was about Apple tracking cell towers. You could even plot the paths. How different are they? Actually, how different is this tracking from how phone companies track your phone via the same cell towers? Google isn’t a phone company. A phone needs to connect to a cell tower to work. It’s common sense. Google, even when you explicitly tell them to not track you, tracks you. How can you not see the difference?? The point is that the information is the same as what the phone company can gather. What each company can do with that data may differ based on what other information they may have on the individual user. 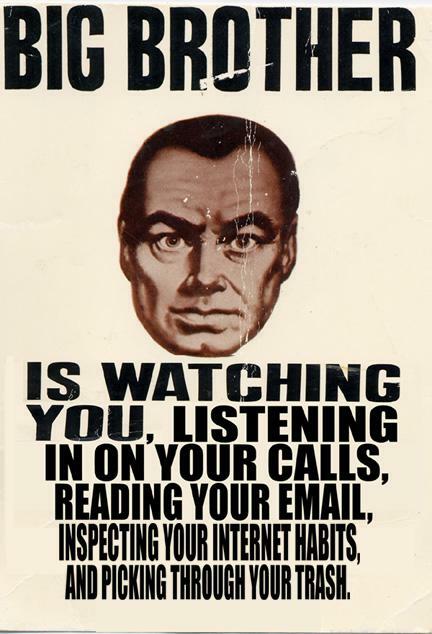 It’s not as if you can tell the phone company not to track you. Location data is relatively public with any cellular device given that you have the hardware to pick up the signal being sent out from consumer cellular device whether it is connecting to data or voice (actually the same these days). You don’t actually think groups like the NSA rely solely on Google location data to track devices do you? The only possible way you can prevent tracking nowadays is to never connect to cellular or wifi once you have everything you need installed in your device and destroy your antennae. For what it’s worth the only data ‘sources’ you would still be able to use are probably AM/FM and GPS as they are ‘passive’ reception systems. Besides, Location Services is not the same as Tracking. The former is an API that allows Apps to access location data. Thus turning it ‘off’ simply means that Apps do not have access to location data and not that your device ceases pinging it’s location to cell towers and such while connected. Cant see the difference because of blind love on Google…simple. Google does not own cell towers. It is entirely possible that cell tower data is acquired from phone companies or MVNOs through some kind of agreement. Project Loon balloons however ARE owned by Google and I can see data collection there being a problem though there could be some part of the agreement that allows for that if you sign up for data access that way. If you, for example, purchase something and opt out of a service during the purchase (like texting you about the latest sale, etc), but they send you texts anyway, would that be a problem? If you explicitly deny access to your location info to a company that doesn’t need it, but they collect it anyway…even when you said not to…that’s a problem. Even without a SIM card…they are collecting this data! Ok, using your example let’s explain the difference between Location Services and Tracking. The mistake is tying Location Services to being tracked. They are two different things. The former is an API that allows Apps on your device to provide certain functions based on where you are.